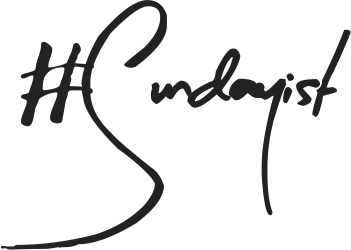 Before I get around to testing the Clarins Autumn Collection I thought I'd give you a sneaky peek of what is to come next - surely that is what lazy Sunday's are for? 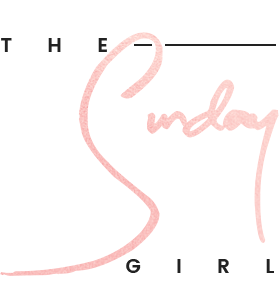 If you are a fan of muted yet smoky eye products and rich lip shades this could be the collection you have been waiting for. You won't have to hang around long as the Clarins Autumn Collection 2015 hits counters this coming August. Excited? I know I am! It's been a while since I have seen a dinky palette by a large make-up brand. Clarins answer the call for an easy to wear day to night palette that will travel with ease, in the form of Clarins Autumn 2015 Pretty Day 5-Colour Eyeshadow Palette (£33). This dinky and sleek golden cased kit contains five cool, neutral come cool mauve toned eyeshadows that should be flattering on most skin tones. Speaking of eyeshadows two new shades join the Clarins Ombre Matte Eyeshadow (£19 each) line up in Heather (smoky, light grey based taupe) and Carbon (black). I've said it a good few times but this is easily one of my favourite eyeshadow formula's ever - they glide on with such ease, are beyond pigmented and wear all day long. I will of course go into more detail once I pop up a full review but if you are ever near a Clarins counter promise me you will at least swatch them? Within the Clarins Autumn Collection 2015 there will also be three new brow pencils (£17 each) in fairly universal shades: Dark Brown, Light Brown and Soft Blonde. This is one of the few new products in which I can somewhat share my thoughts on at this point - the new brow pencils are matte, firm and a little waxy. They blend, fill and shape the brows with ease and are surprisingly easy to use - it also doesn't hurt that each shade features an in-built spoolie. My only gripe is that I find the shade Soft Blonde to be a little too warm for my current needs. 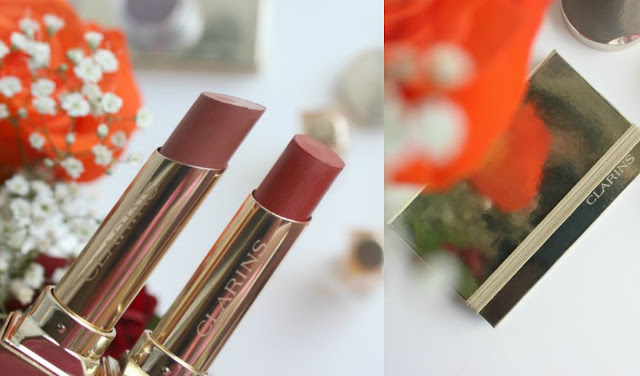 The two new shades of Clarins Rouge Eclat Lipsticks (£19.50) couldn't be more ideal for Autumn if they tried; rich, warm yet soft, coupled with an easy to slick on and nourishing formula. For fans of a classic red with a twist there is the burnt orange, come red that is Red Paprika. If you prefer a muted rose then Clarins Tawny Rose will be the shade for you. Lastly we have two new shades of Clarins Crayon Khol (£17), an easy to use glide on eye pencil that can double up as an all over cream eyeshadow should you wish - super easy thanks to the soft brush at the end of the pencil (trust me this comes in handy all too often). The two new shades are: Carbon Black (matte black) and True Violet (metallic, blue based purple). I will be testing everything out this week and will have full reviews of each product within the Clarins Autumn Collection 2015 before the products go on counter. Until then what do you like the look of? Heather and Tawny Rose look right up my street - oh I'm getting excited for AW makeup now! I always find Clarins makeup products a bit ... boring? With the exception for the face products, which often have the most beautiful finishes - like the radiance primer things! Love them! There are so many new releases I would love to try! Tawny Rose is calling my name! And the packaging is so pretty too! Can't believe how fast this year went. It's Fall Collection time already! I need all of it :| it's my dream autumn collection!